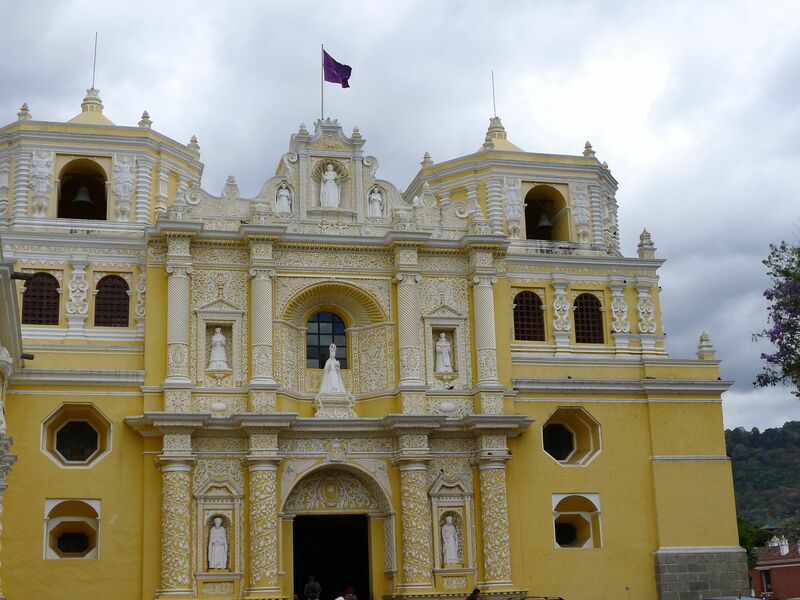 Hands down, the most beautiful church in all of Antigua and perhaps all of Guatemala is the magnificent Iglesia y Convento de Nuestra Señora de la Merced (La Merced for short). 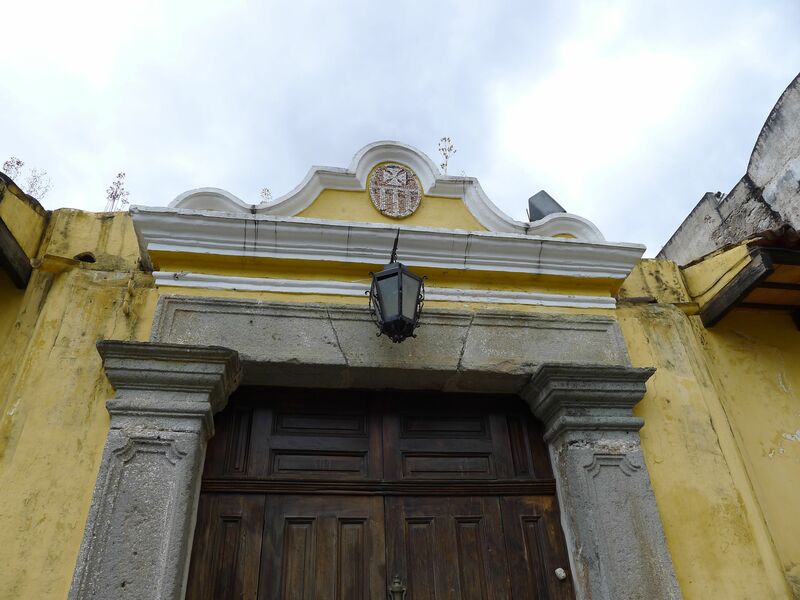 Construction began in 1548 by the Mercedery Fathers who dreamed of building a temple, yet the church suffered several setbacks due to Antigua’s infamous earthquakes which wreaked havoc and destruction throughout the city. 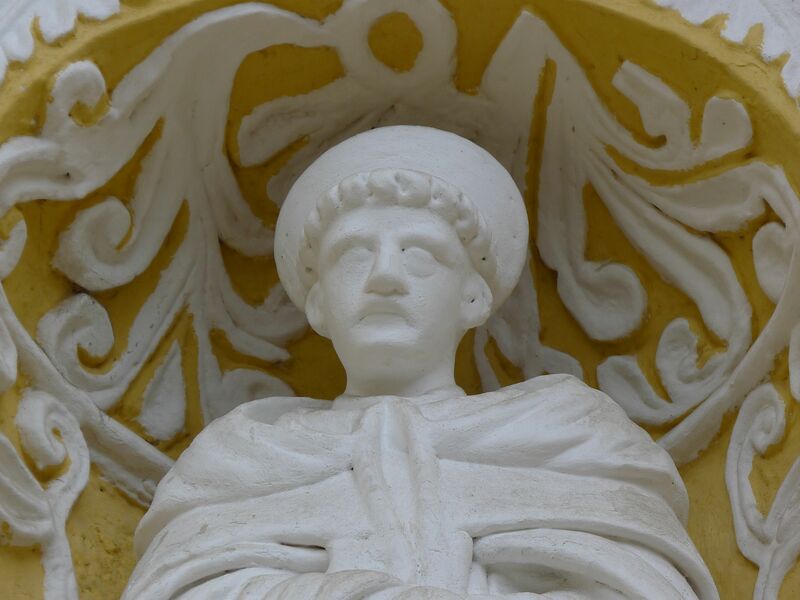 It wasn’t for another two hundred years that the cloister and sanctuary were finally built and finished in 1749. 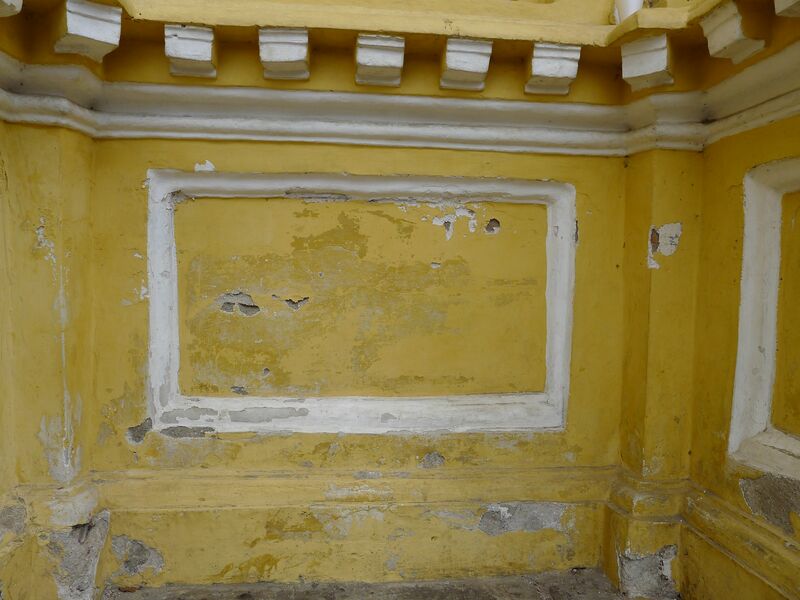 Then another traumatic earthquake struck Antigua in 1773 causing significant damage to the church and leaving its marvelous ruins behind it. 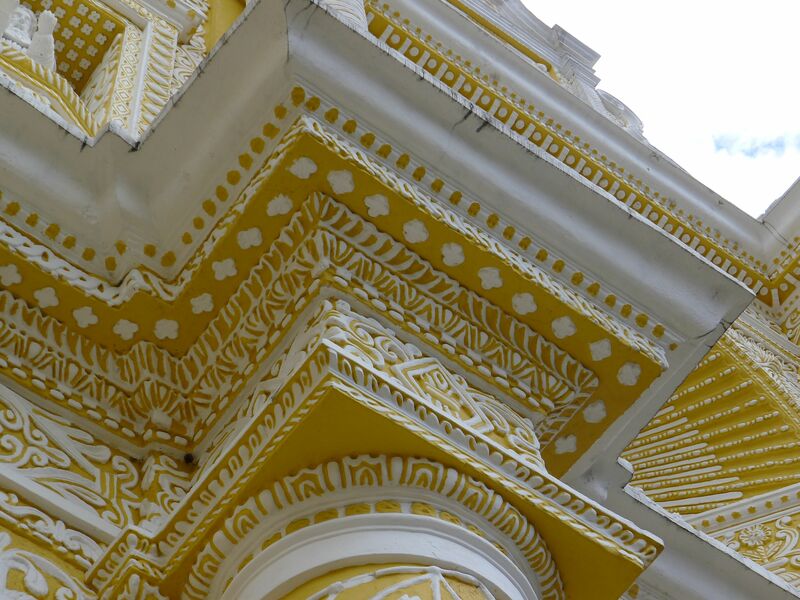 Today, La Merced is one of the only old churches that is still offering services on a regular basis and its brilliant yellow and white colors are a delight to the eyes and the soul. 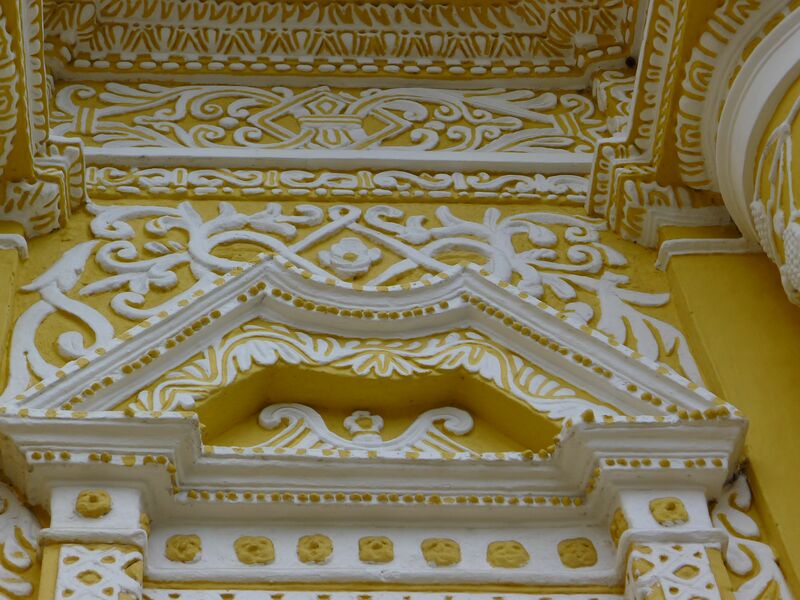 When the Antiguan sky is clear and royal blue, the brilliant gold-yellow of La Merced is perhaps one of the most glorious sights in all of Guatemala. 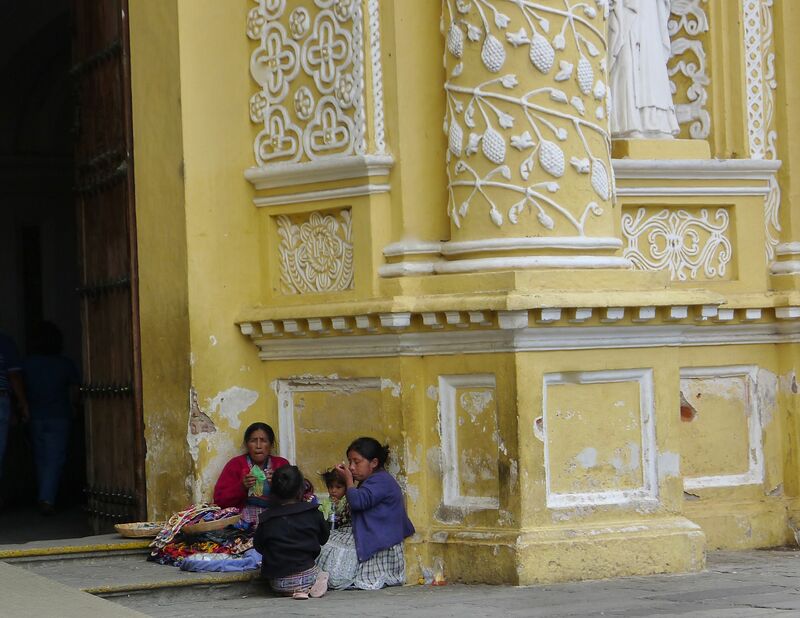 Here are some photos of the magnificent La Merced and you can judge for yourself. 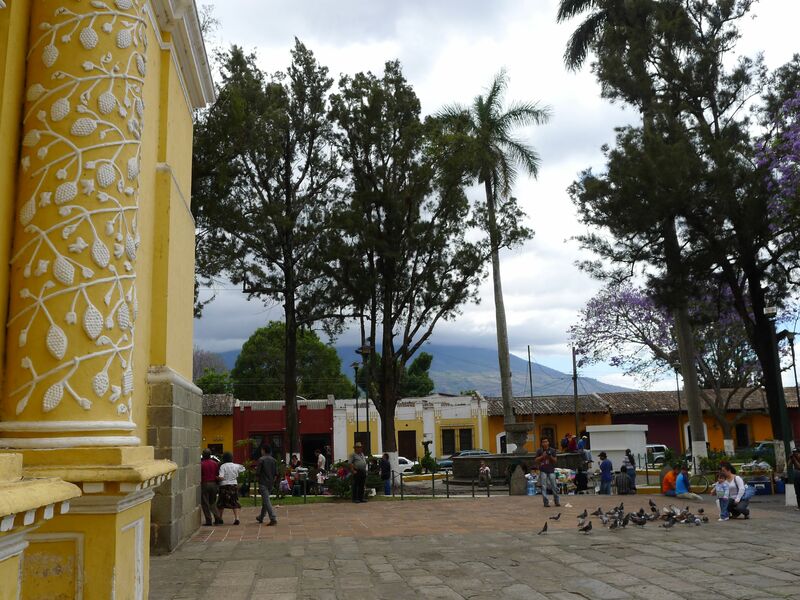 La Merced blends in perfectly with Antigua’s brightly colored colonial buildings and architecture. Here is a glimpse of the church on the lefthand side of the photo. The sky was not yet clear and some clouds remained. I could only imagine how spectacular this photo would have been if we had a clear day! 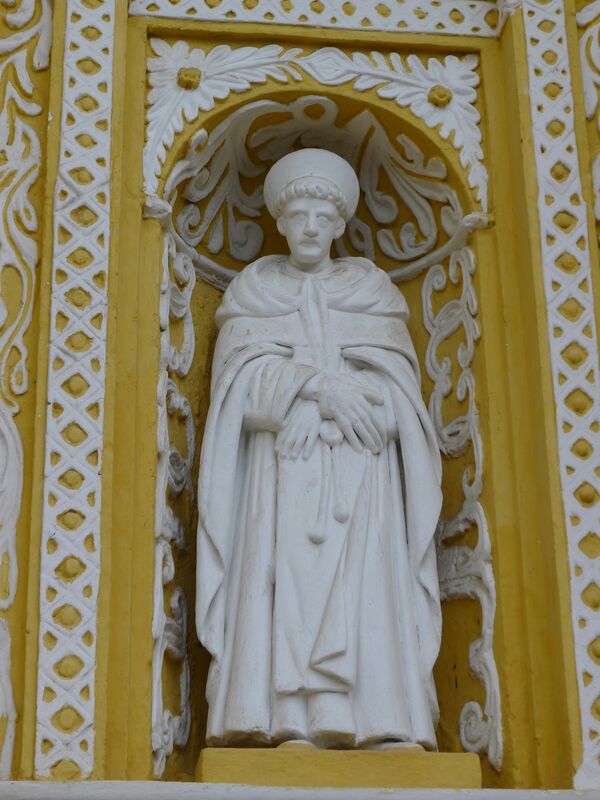 The next morning when I left, it was brilliant blue sky and everything in Antigua including La Merced came to life. 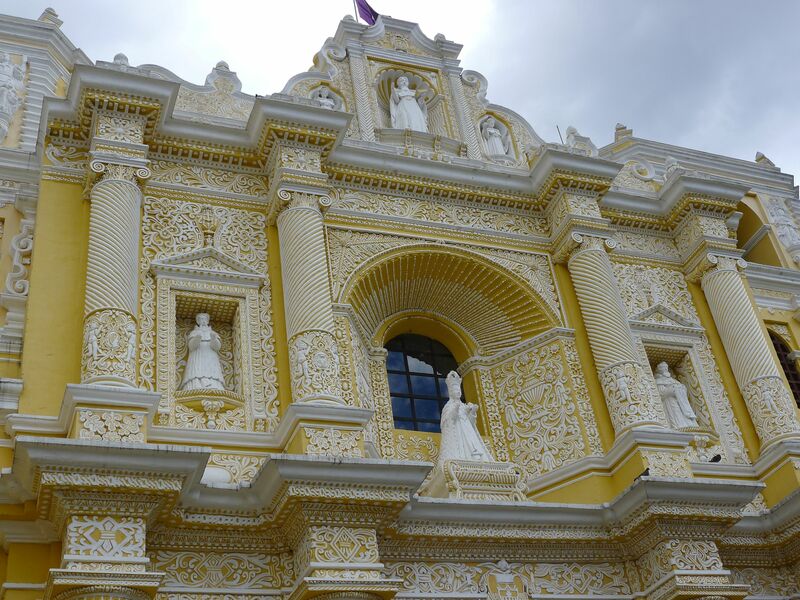 On top of the church is a purple Semana Santa flag. 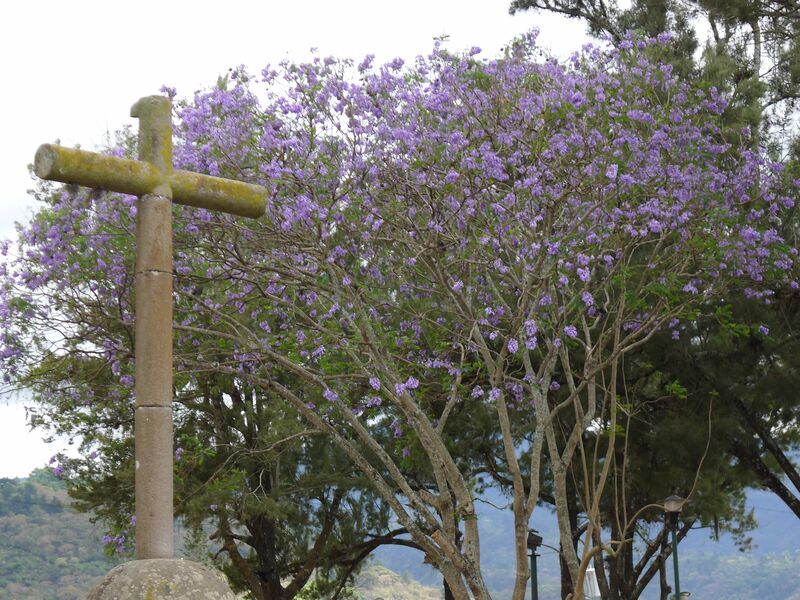 Gorgeous purple jacarandas were in bloom throughout the city, going with the purple pious theme for Semana Santa. I love this picture! If you look closely in the window, you can see the reflection of the clouds! 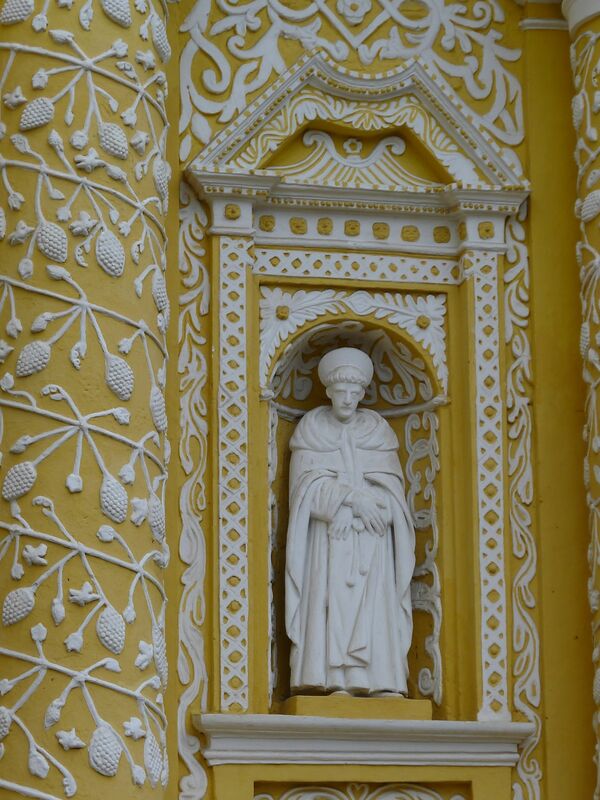 The detail of the church is immaculate and I could not get enough of it. So incredibly beautiful! I love the white against the yellow. So pretty! 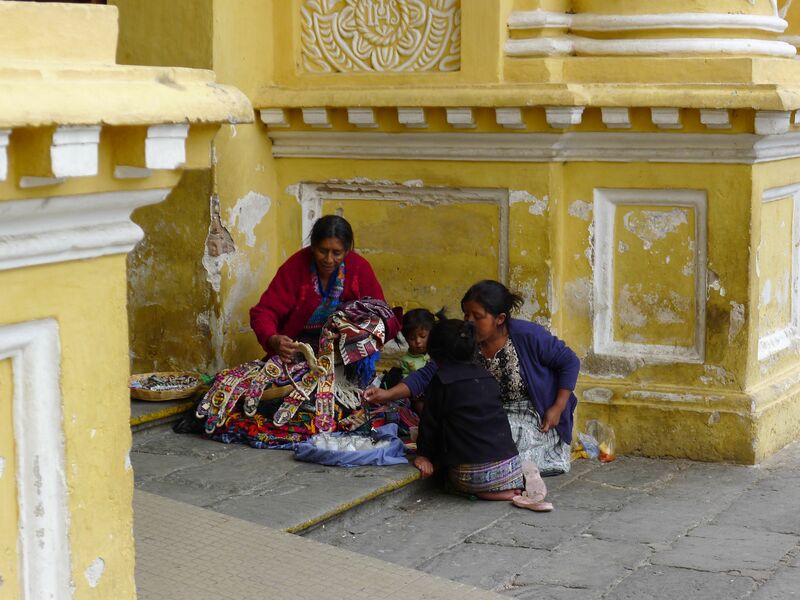 As often found in foreign countries, you can see the local women outside churches and other tourist attractions selling their homemade wares. 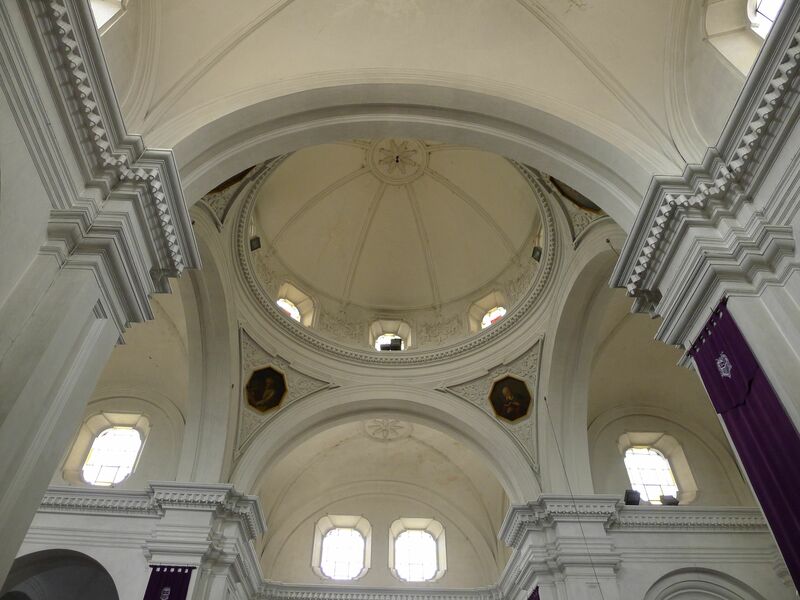 The inside of La Merced is just as spectacular as the outside with an enormous altar and dramatic high ceilings. 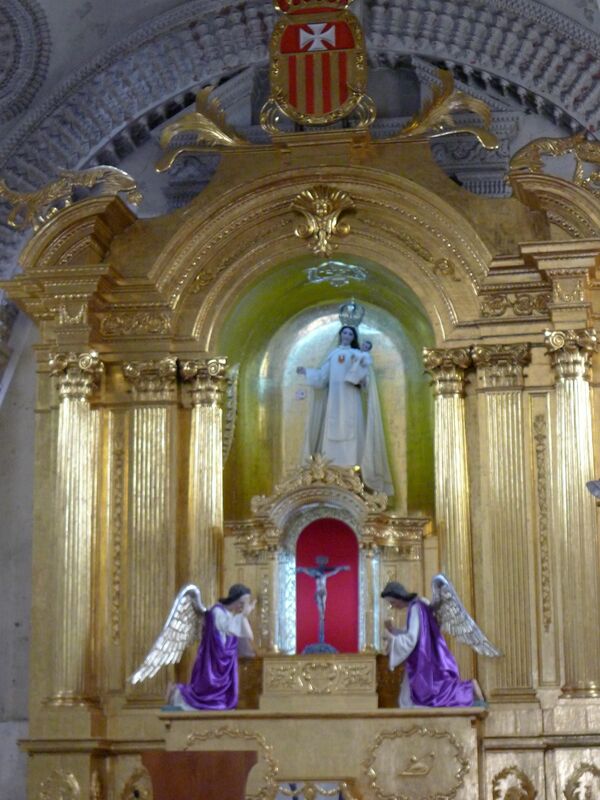 More purple for Semana Santa. 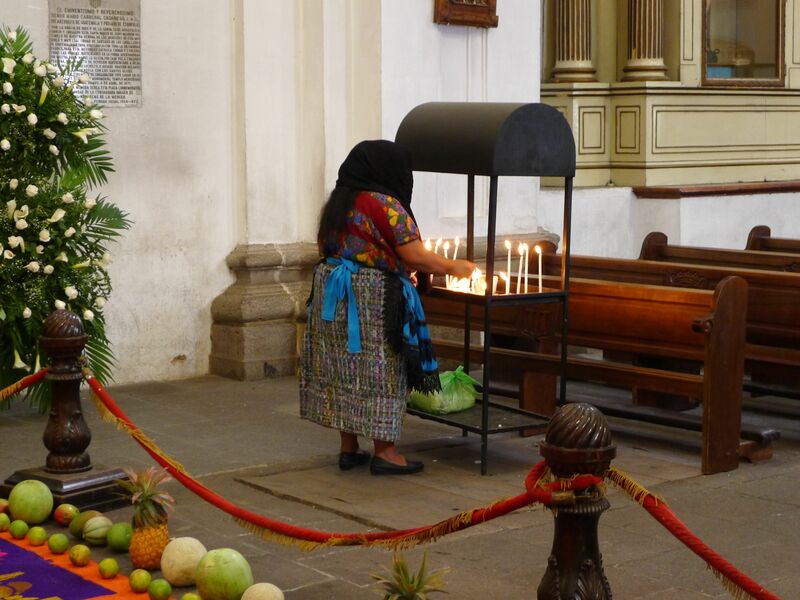 Once inside La Merced, I was in for a huge surprise! 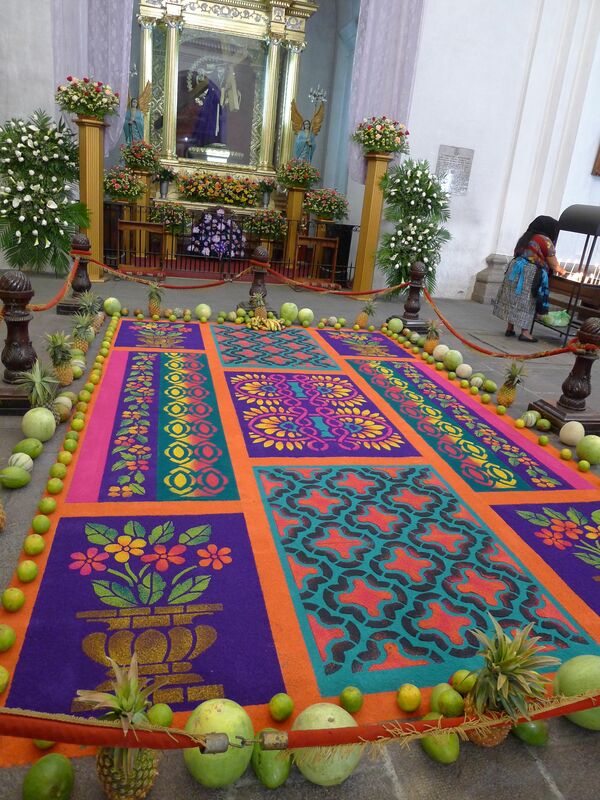 Before one of the altars was perhaps the most gorgeous, brightly colored Alfombra (colored sawdust carpets used in the weeks before and during Semana Santa) that I had ever seen! I am cheating by including these photos again as I already have used them in my timely post on Semana Santa (Holy Week) a few weeks back on Easter Sunday. But these photos are so spectacular I had to include them again in this post. 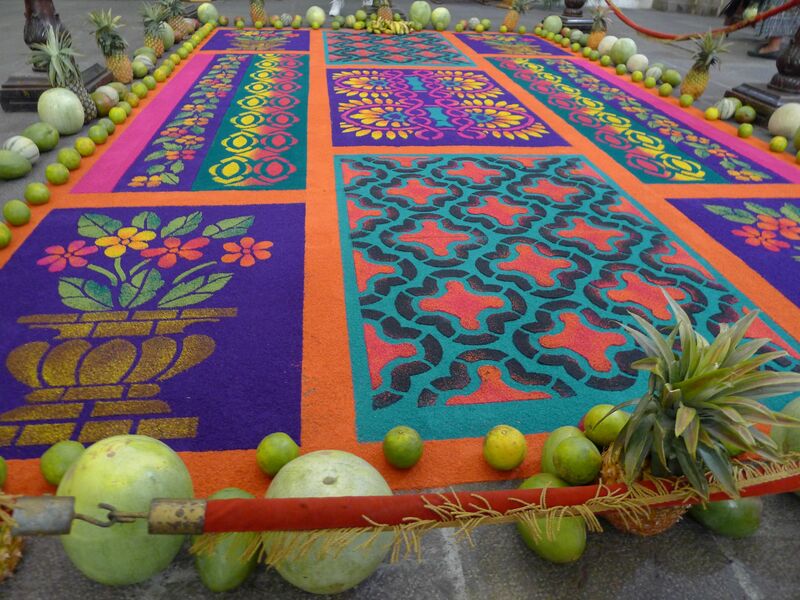 Fruits and flowers are common decorations around the alfombras and are used as offerings. 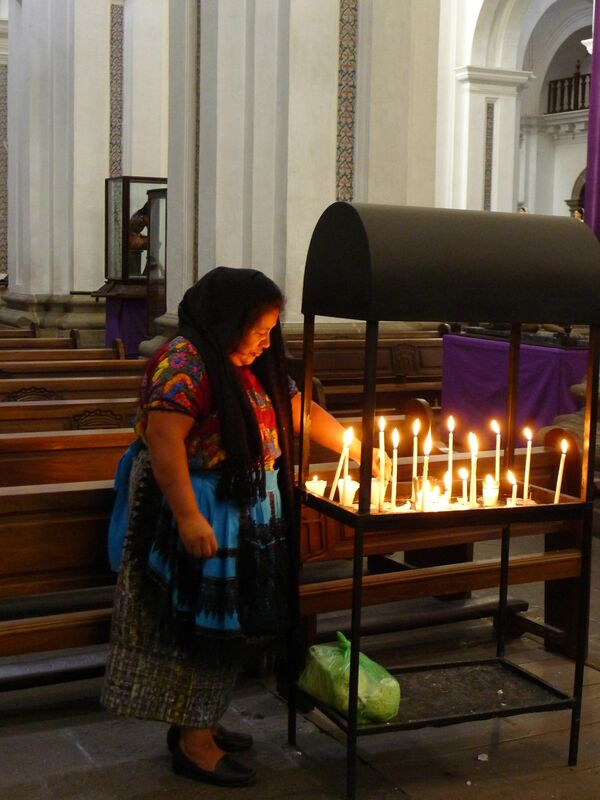 For some reason, I just adore this photo of the old, pious Guatemalan woman lighting candles. It was so touching to me. After being completely blown away by La Merced, Lucy and I went out back to see the dramatic ruins left behind from the earthquakes. Stay tuned…..the post will be coming up next! I really love this church, especially the facade. Beautiful! Great post Nicole! I love La Merced. I’m lucky to have it as my local church and during festivals it’s always surrounded by food stalls. I remember this building. It is beautiful. Oh that is right. I forgot you went to Guatemala. I really want to go to Honduras. Which did you like better? Would you think it would be safe to visit Honduras as a single traveler? I am thinking about it for my next volunteer trip…. There was a gal staying at our resort who was traveling alone. She was having a blast. I never got up the courage to ask why she was alone. I think she may have been a writer. I wasn’t in the cities much so I don’t know about the safety. And to be honest, the two countries are so different I don’t know which I would choose. It is like apples and oranges. Nicole, these colors are gorgeous. I feel like I’ve gotten a personal tour of the church! 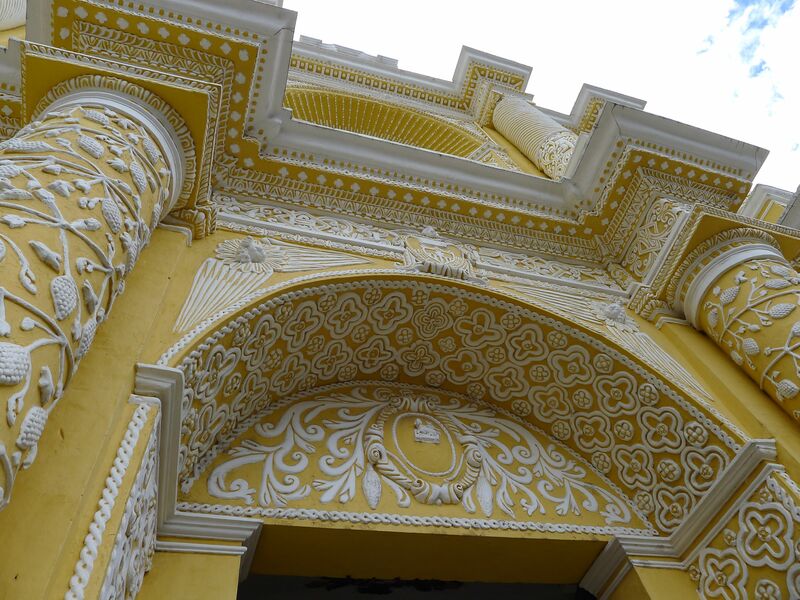 I especially love the bright yellow exterior. Thanks Meghan! It was so stunning! Wish the photos were in the sun though! 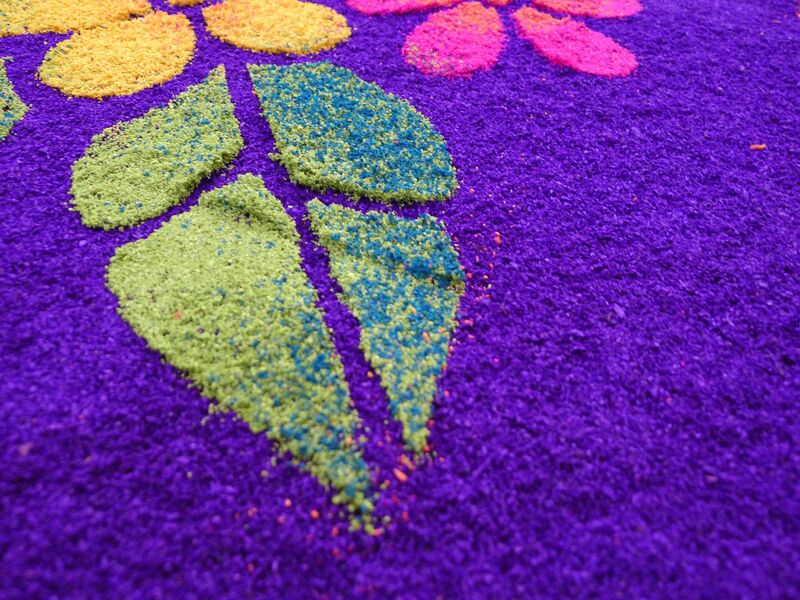 It is a volunteer organization, they go around the world building playgrounds for areas in need. Their website is: http://www.kidsaroundtheworld.com/ We have been on two trips with them and they were awesome!! We went to Guatemala last year and New Orleans the year before that! 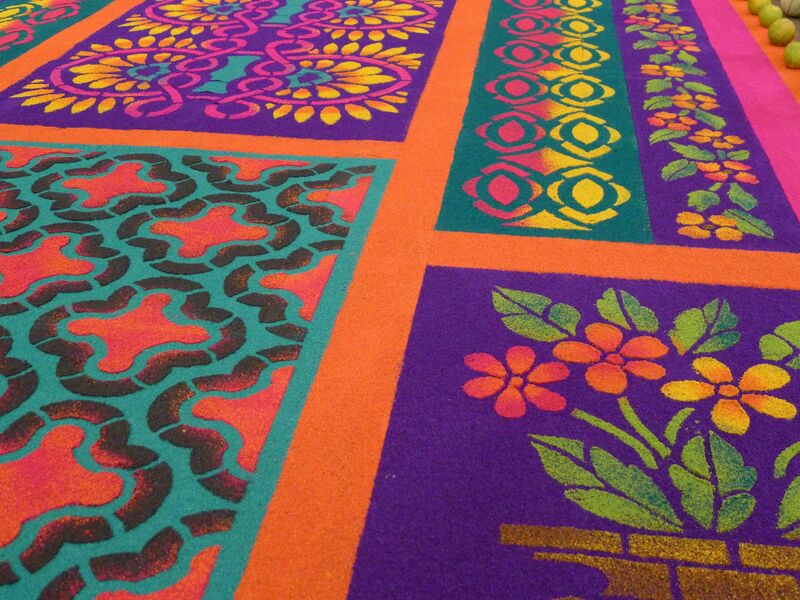 The church is gorgeous–and, again, I love those brilliant sawdust rugs. It’s not cheating, Nicole! As Kathryn said, it’s not cheating Nicole – in fact they’re a necessary addition because now we see the church in all its still functioning glory, and understand why those gorgeous geometric Alfombra you showed us before are so exquisitely detailed – the people love this church (maybe even more than you do? :) ) – they dress their saints and angels, pour their Alfombra, light candles, pray … And obviously paint it on a regular basis. It’s amazing, such a well-kept ruin! As always, an interesting and inspiring journey with you this morning. Gorgeous church and Alfombras and I so love that header!